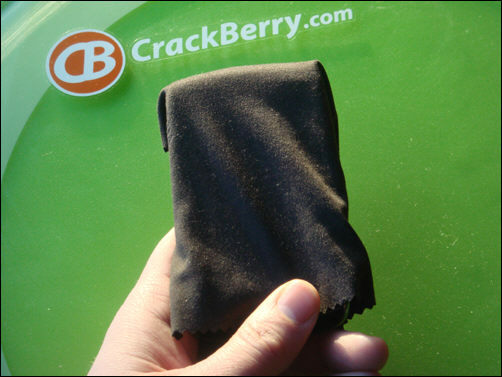 BlackBerry Storm 3 codenamed Monaco; BlackBerry Montana a touchscreen Bold?! First things first, we're slapping the big ol' rumor tag on this one. Take it all with a grain of salt. In fact make it rock salt because at this point none of this is fully confirmed. New rumors have been suggesting a couple of new devices that are now in the works at Research In Motion, one of which we may have gotten a sneak peak at previously and another that may just be a total rehashing of what once was Magnum/Dakota. That said, let's clear a few things up while we're at it. The BlackBerry Storm 2 (9570) refresh was often referred to as the BlackBerry Storm 3 whether or not that was ever the intention we do not know but now that it's been pretty much taken out of the picture as far as we know, that leaves the slot open for a real BlackBerry Storm 3 device (most likely, this one). Every device needs a codename to go along with it and the BlackBerry Storm 3 has now been suggested as taking on the name Monaco internally. When it comes to specifications for the device well, we're not even going to suggest any at this point because really it would all just be speculation on our part and we don't think adding to the rumors will do anyone any good. So, until we can confirm indefinitely you all can speculate along with us. Moving on now, a lot of talk has been generated over the past few days about the BlackBerry 9900 aka Pluto. This numeric offering is far from new as you can tell from the linked article. Its actually been floating around since even before the BlackBerry 9630 was released and got many folks into a tizzy expecting a Bold touchscreen device. What ever became of it? Well, it was revealed as the Dakota/Magnum which never actually saw the light of day beyond it's prototype, and now its popped up again for better or worse. Codename this time? Montana. Given the past history tied to this device and codename we're not going to be holding our breath for information on it. Either Research In Motion is digging up a device that was shelved long ago and redoing it or the rumors of Montana are just simply a little off base. Alas, that's the joy of rumors. Personally, if I had too pick one out of these two rumors to be true-- I'm rolling with the information about the BlackBerry Storm 3 what about you all?